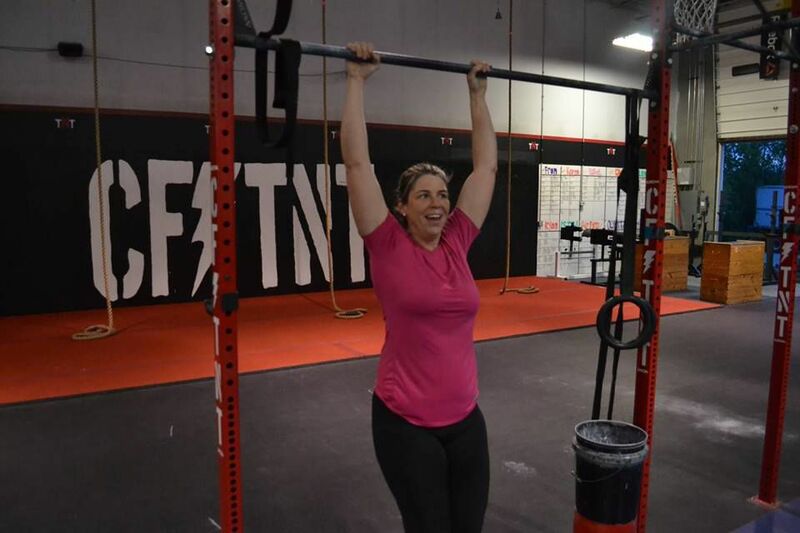 I walked into CrossFit TNT in the summer of 2015, about five months after moving to the area. I’m actually surprised that it took me that long to come into the gym. I have a long and spectacular history of signing-up for things and then completely fizzling out by week 3. The thing that I am really good at, that I really love, is starting the journey. That incandescent window where you can imagine your amazing new life and wardrobe, but before you have to tackle the hard work involved in creating sustained change. The problem is that despite signing-up for everything, I didn’t stick to anything. 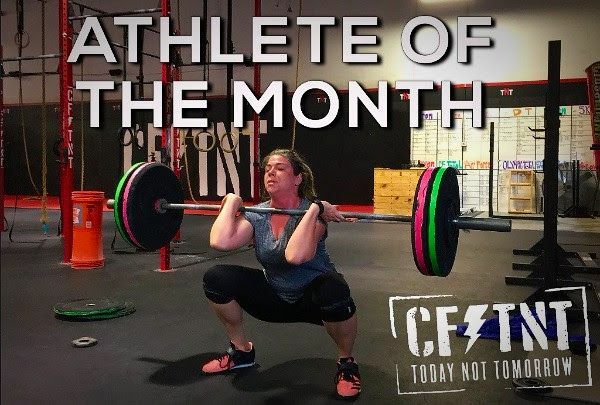 When I walked into CrossFit TNT, I was at an all-time low. I weighed more than I ever had and was exhausted all the time. I had two amazing little babies, but caring for them had taken a serious toll on my mental and physical health. I have no pictures of myself from this time. I have what I call “head-shots,” (pictures where I am literally just a floating head) but not one head-to-toe picture over a four-year window of time. I didn’t realize it at the time, but I was literally and figuratively missing from my life. 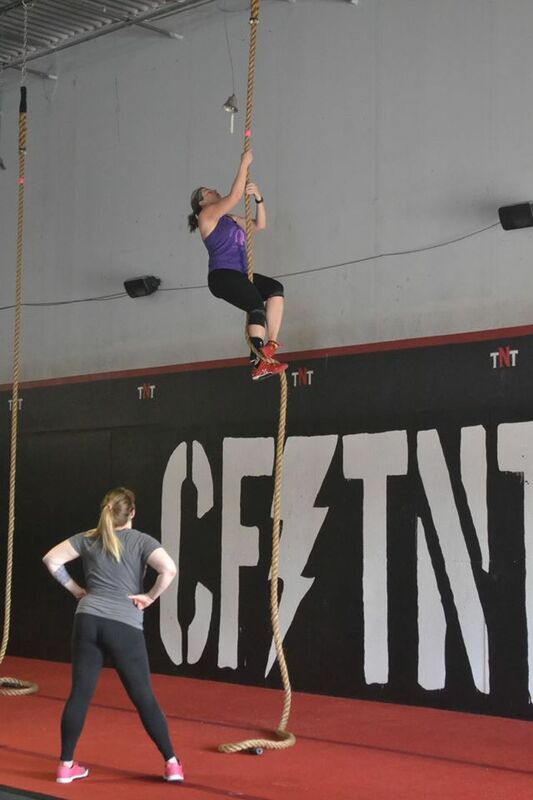 The first day I walked into CrossFit TNT, it did not feel like I was supposed to be there. I actually came in one other time and when Coach Oscar started coming over to talk to me, I fled the building. I came back though and then somehow I kept coming back. First I started coming twice a week, then three times a week. Now I aim for between 4-5 classes a week. I love that when I come into this gym I don’t have to be the best, I just have to do my best. For me, the coaches at CrossFit TNT did the impossible by creating an environment and a community that I couldn’t quit. For the first time, I actually kept at something. While I’m not a “natural,” over the last two years I’ve learned that consistency over time leads to results. After ten years of trying to find a way to lose weight, I found one but stopped caring about my weight. CrossFit TNT put me on the only journey that can actually produce change—consistency over time. Thanks to all of the Coaches and my CrossFit TNT family, I’m back in-charge of my life and I have the head-to-toe pictures to prove it.